Well I can pretty much say I did not complete anything in the shop this week. I did get my stand for the grinder assembled but still need to make the jig system, plan to work on that this week. I did however spend the entire weekend at the Woodworking show in Chantilly. I actually went all three days and enjoyed it for different reasons on all three. Friday I went by myself and took in some of the various seminars. If you have never seen Alex Snodgrass cut a reindeer in a few seconds its pretty cool. I thought very hard about tuning up my band saw after that presentation but I was focused on another tool this weekend. I did catch up to Chuck Bender there and also got to meet DigitalDistinction at the end of the day. Really great to meet other local LumberJocks. 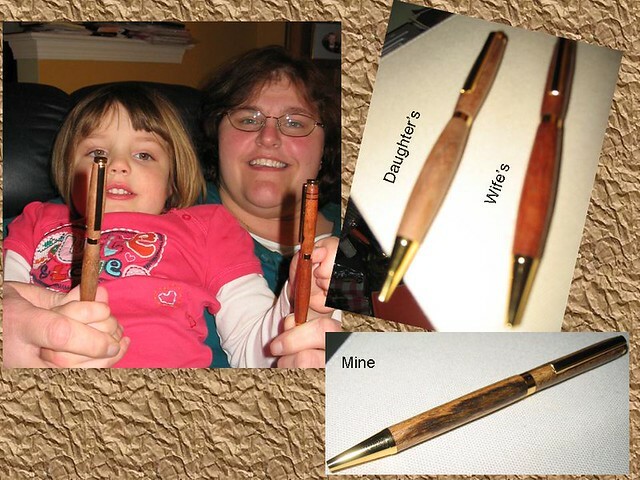 On Saturday my wife and daughter joined me and they each took a turn making their own pens. Thanks so much to Jim for helping my daughter, she was excited but as the crowd of kids pressed in on her she was kind of overwhelmed. Thanks to Jim’s help she made a great pen. We did not stay to long around there as my daughter was getting antsy but did catch up to Greg3G Also spent a good amount on purchasing some stuff for my wife to be able to try her hand at some acrylic pens. I picked up the other items in this pic today when I was there so I can work on wood pens. My friend Phil joined me and after listening to Jim Healy discuss routers for over an hour we turned our own pens and met Greg and his wife for lunch. Willards is always a good excuse to be in that area. We picked up a few additional items and then headed on home. 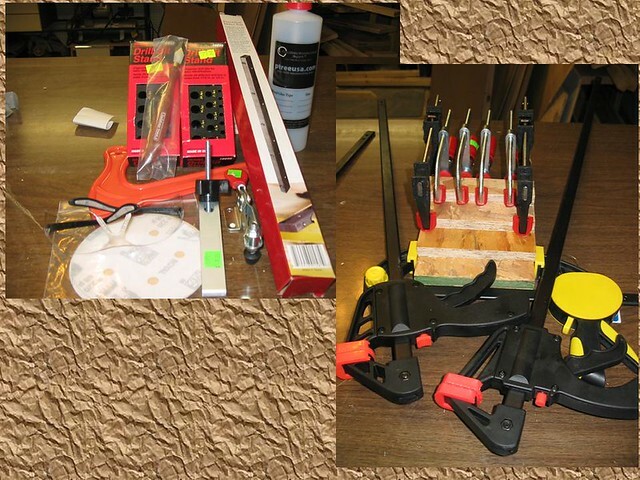 As you can see in this pic I grabbed a number of different clamps over the 3 days as well as some parts for upcoming jigs. A fun filled woodworking weekend that I was happy to share with multiple people. 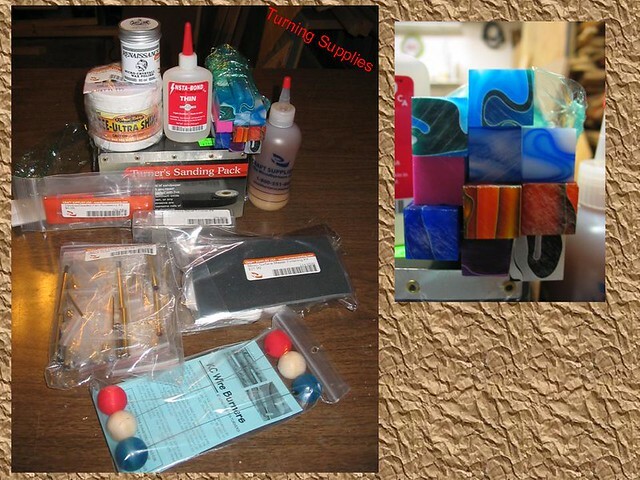 Looking forward to getting into the shop this week and onto some jig making. Enjoy your week everyone. Glad that you were able to go. I had made plans to do that earlier but they fell through at the last moment. Sorry that we couldn’t get together. It looks like you got some nice, and fun, stuff! Karson Sorry you could not make it. Hope all is well. Thanks Randy, I am looking forward to having some fun in the shop soon. I missed it this year, after getting home from Florida on Friday I just couldn’t bring myself to drive again on Sat. Your pen turning supplies are well stocked now!